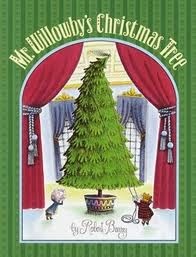 Today we read one of my favorite Christmas books. My students tell me I say that every book I read is my favorite. Lol. 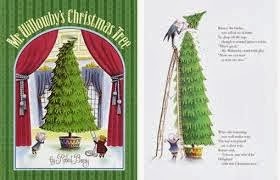 I connected the book to what we like to do with our families at Christmas time since all of the characters in the book were able to share Mr. Willowby's Christmas tree with their family. We read the book. Then we talked with our elbow partners about all of the things we like to do with out families at Christmas time. We retold and acted out the story using the characters. The kids loved pretending to snip off the top of their tree and throw it out. 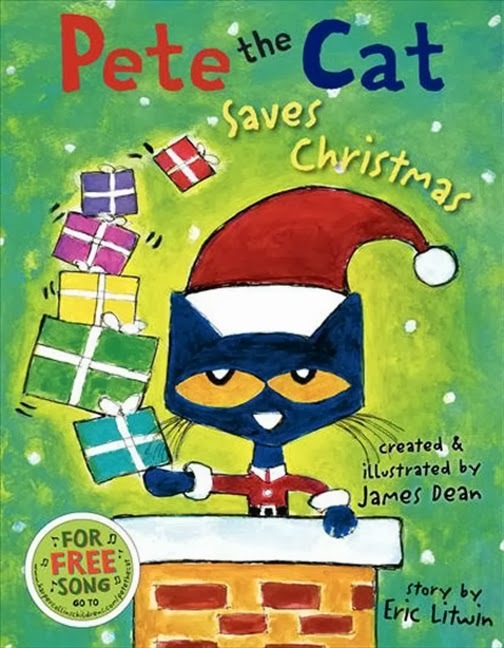 You can get the picture cards for retelling here. Then we wrote about one thing we like to do with our families at Christmas time. I like to me and my mom bake cookies. I like to see Santa. I like to open presents. I like to... I like to see Santa at the mall. We made and decorated ice cream cone Christmas trees. It's been a crazy week and I have way too many projects going on with my kids so I left the green food coloring at home. Oops! Sometimes we just have to improvise... and have snow covered Christmas trees. 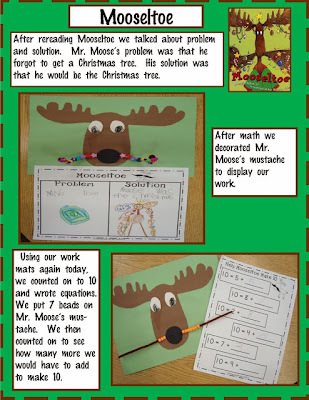 We are still working on orally solving word problems, joining groups, and separating them so we used these fun ornaments from First Grade Blue Skies to act out and solve word problems about decorating the tree. You can pick up Jennifer's freebie here. Two of my teammates read Pete the Cat Saves Christmas and make paper plate Pete's. I also found these great lessons for the book Mooseltoe. This first picture came form Mrs. T's First Grade Class. You can check out her original post here. The second picture came from one of my favorite bloggers- Deeanna at Golden Gang Kindergarten. 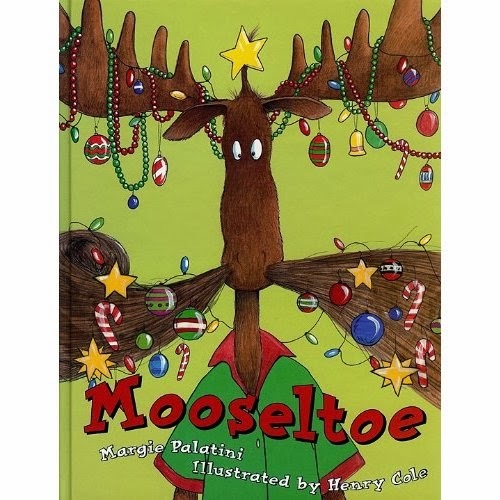 Click here for her Mooseltoe post and freebie. It was Polar Express day for us today. We read the book, ate cookies, and drank hot chocolate. I wanted to do something a little different than I usually do. I found this idea from Deeanna of Golden Gang Kindergarten. She actually used real photographs of the kid's faces, but I had to improvise today because of time. 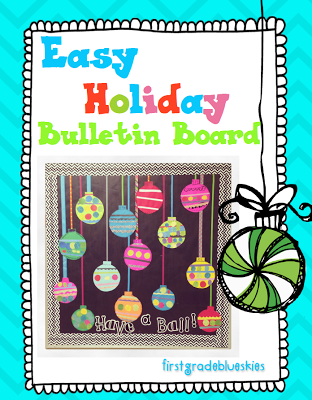 You can check out Deeanna's Polar Express post here. After reading the book we brainstormed a list of all the things seen from the Polar Express. We wrote the list together on chart paper. We phonetically spelled the words together and everyone wrote on dry erase boards while I wrote on chart paper. Then my students chose the words they wanted to write on their own list. We created a story map to show the setting of the story, the main characters in the story, and the problem and the solution. In math we are working on solving problems orally and joining and separating. We pretended to be the elves at the North Pole in The Polar Express. I made up story problems and we acted them out. We talked about how to solve the problems, joining and separating, what joining and separating mean, and how we know which one we need to do. We also talked about other words we can use for joining and separating things. I found these foam elf hats at Hobby Lobby. This is an example from a past year because I am still in the process of making the ones for this year. I plan to add my pictures tomorrow, laminate, and send them home for the parents on Friday. I started making these trains for my students in 2005 and I have made them ever since. I love to look back at all of them each year. In science we have been learning about rocks and water. We made anchor charts to show the properties of rocks and water. We will be further exploring the properties of water, looking at sources of water, and comparing salty and fresh water as the week goes on. You can go to Google Docs and download the words and pictures for the water properties anchor chart and Venn Diagram here. 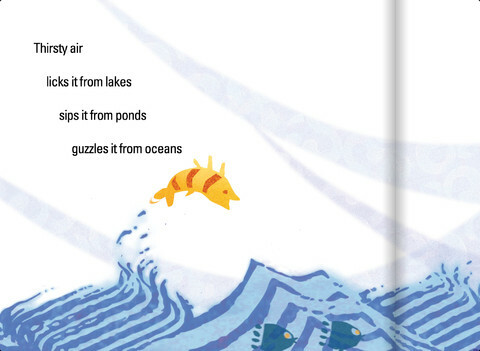 The sources of water graphic organizer pictures are here on TPT. 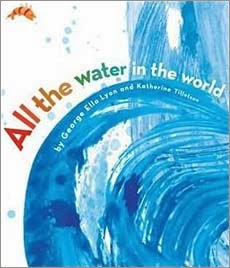 This is a great book for a study of water. We are a little behind on works, but slowly working it all in. You can find the properties of rocks anchor chart here, the how we use rocks circle map here, and more posts about rock activities here. 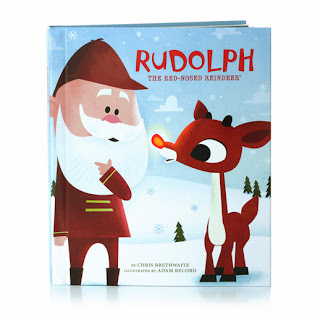 I recently found this book on Scholastic's book order website. I could only find it as an E-Book from Scholastic though so I ended up ordering it from Amazon. It is a Christmas version of The Little Red Hen. We acted out the story using character bibs and props. We used a large pine cone, a small Christmas tree, lights and ornaments, a watering can, a mixing bowl and spoon, and a wrapped box for a present. We also used bubbles. Whoever played the penguin each time got to blow bubbles. Of course everyone wanted to be the penguin! Then students worked with elbow partners to retell the story using picture cards. Since we are working on nouns and verbs again, we did a noun/verb sort. We sorted persons, things, and actions from the story into "nouns" and "verbs." We wrote about what we would do if we were the Little Red Elf. Would we let the animals open the presents or would we keep them all to ourselves? 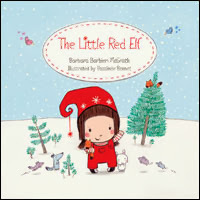 Tomorrow, we are going to look more closely at the Little Red Elf to analyze what kind of character she is. We are going to make a bubble map to show the Little Red Elf's character traits. You can get the unit here. We are spending a lot of time focusing on characters and character traits. 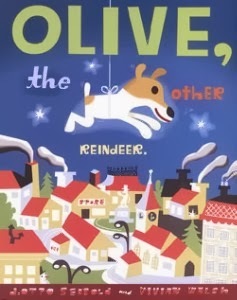 Today we compared Rudolph the red-nosed reindeer and Olive the other reindeer. I used a version of Rudolph that I purchased from Barnes and Nobel. It was published my Hallmark and I really liked it because it is a shortened version of the story. You can get the pictures, words, and writing paper here. First, we focused on Rudolph's character traits. I found this cute Rudolph hat at Hobby Lobby. One of my boys wore the hat and dressed as Rudolph. Then we brainstormed character traits and labeled Rudolph with them. We made a double bubble map to compare Rudolph and Olive. My teammate, Nicole, came up with these super easy and cute reindeer faces. They are made from paper sacks. First, we cut the middle out of the top part of the sack. To make the eyes and nose we cut corners and rounded squares to make them into circles. Not sure what model this child was looking at. LOL. We wrapped up by writing about how we would help Santa if we were his helper.